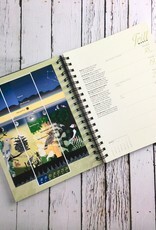 This revolutionary engagement calendar presents information on seasonally visible stars, moon phases and tides, ratios of darkness and light, seasonal behaviors of earth’s creatures, and a host of other details about the natural world. 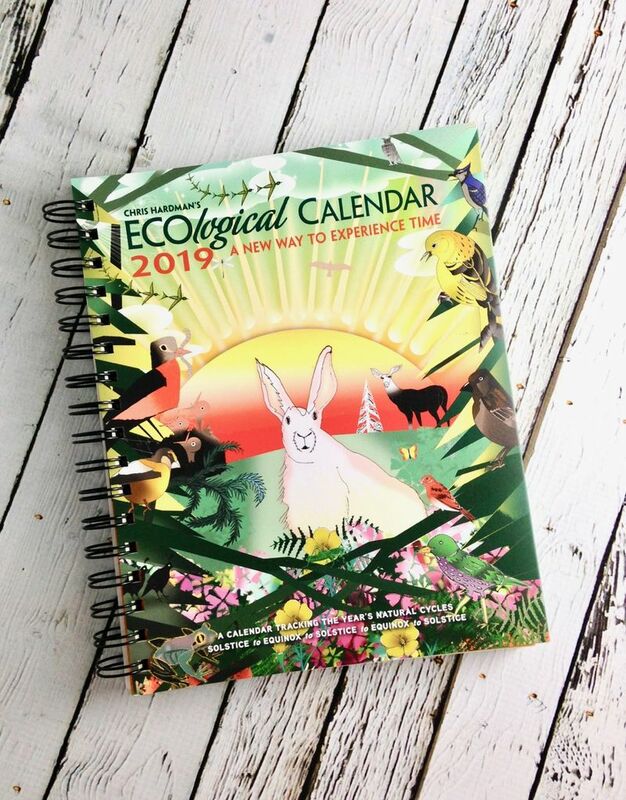 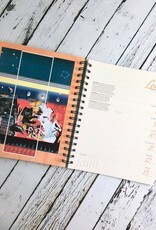 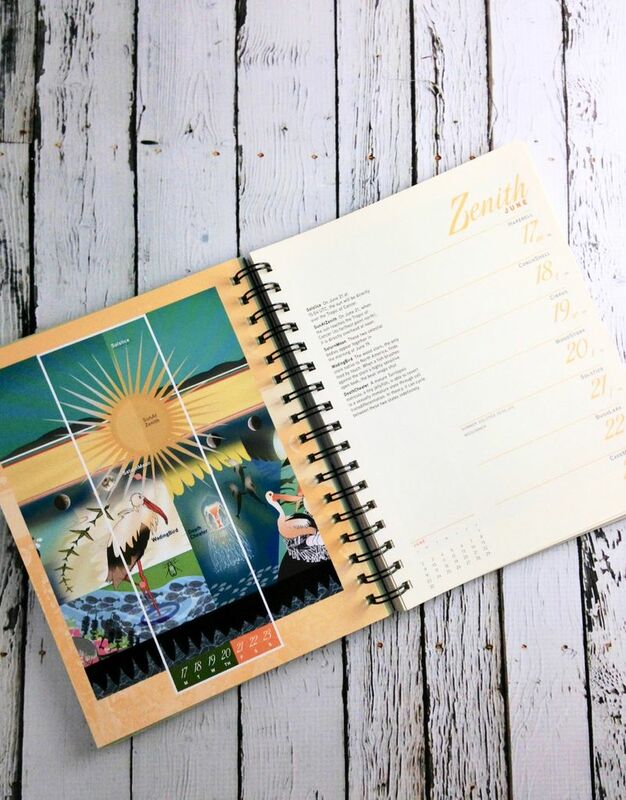 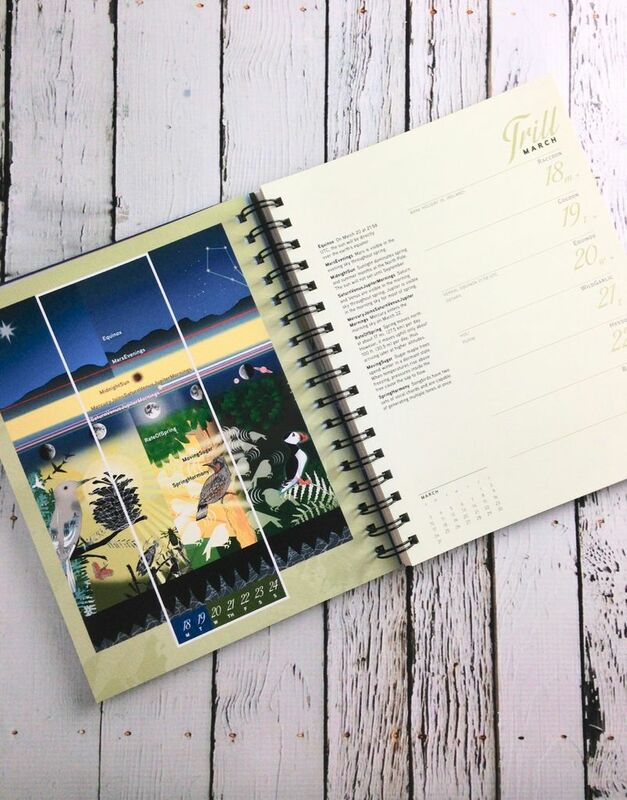 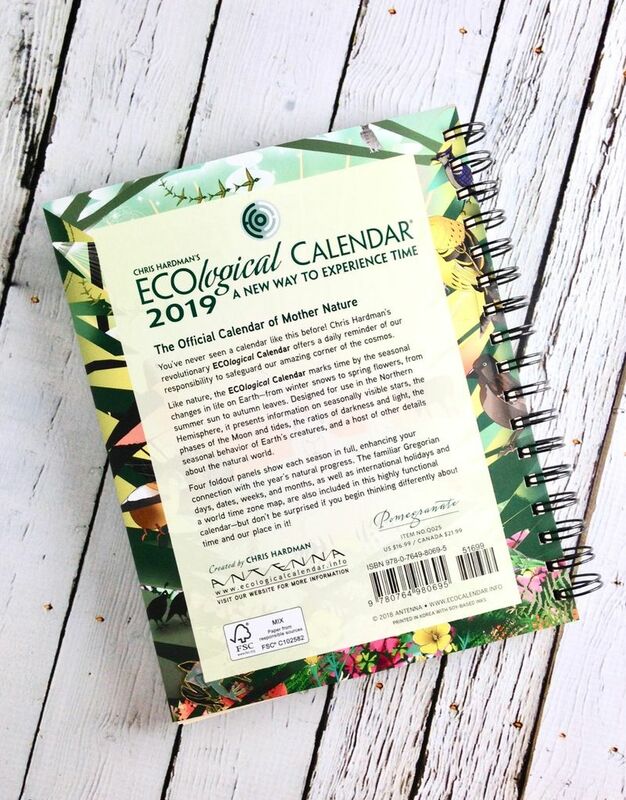 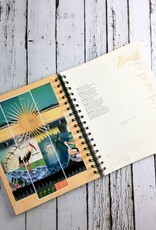 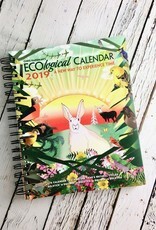 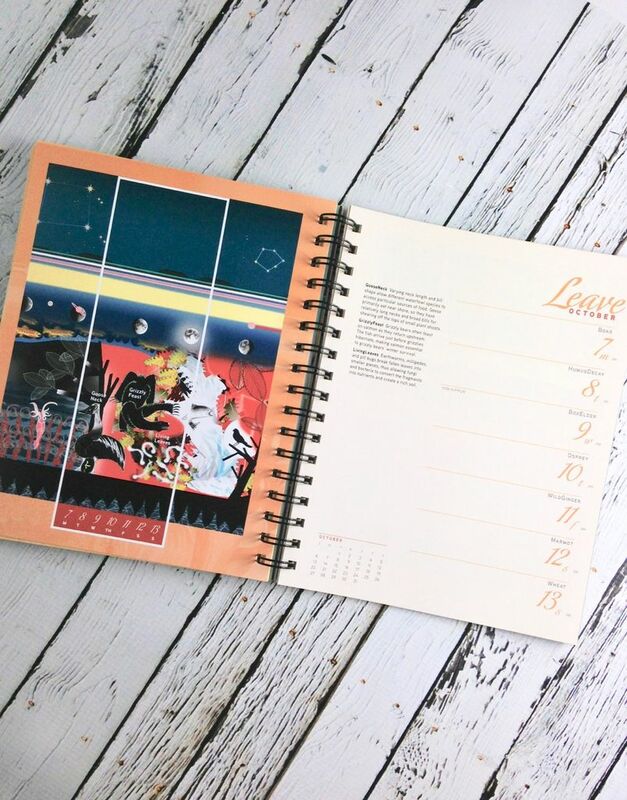 Four foldout panels show each season in full, enhancing your connection with the year’s natural progress. 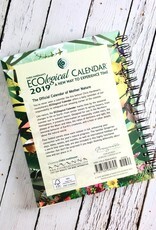 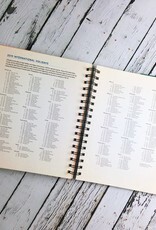 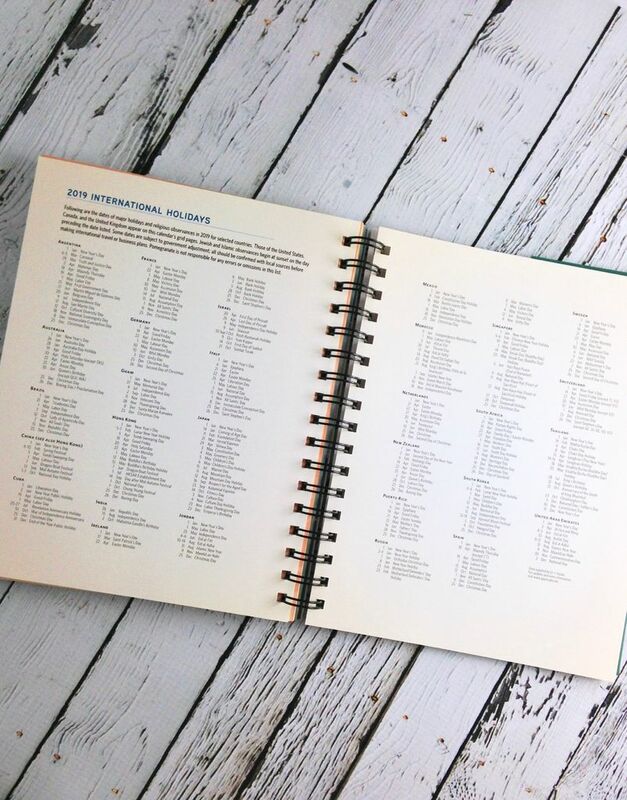 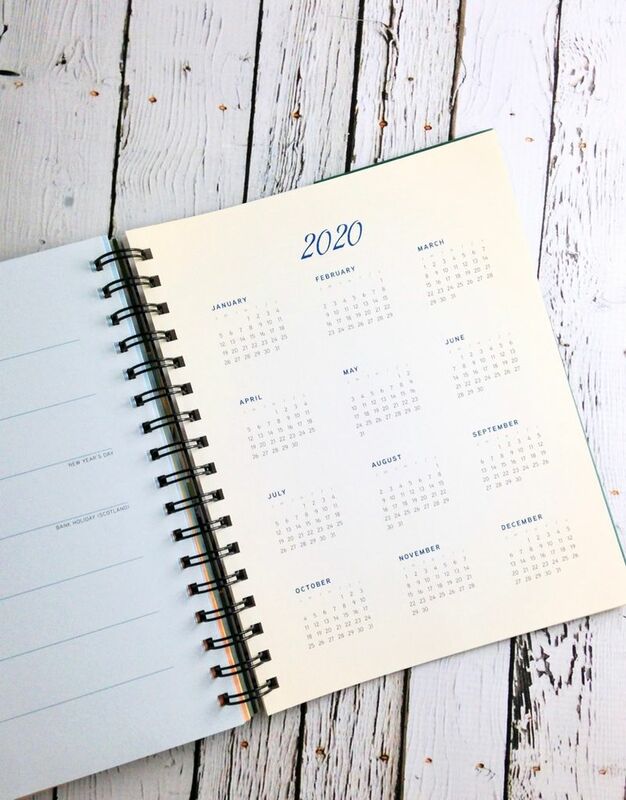 The familiar Gregorian days, dates, weeks, and months, as well as international holidays and a world time-zone map, are also included in this highly functional calendar. 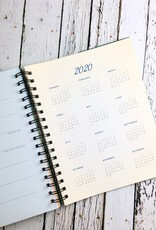 But don’t be surprised if you begin thinking differently about time and our place in it!